Once we have an understanding of the region around Bethsaida we will be able to understand more clearly the events surrounding the miracle. I am not discussing the specific identity of Bethsaida. Is it the site of Et Tell now being excavated under the direction of Prof. Rami Arav? Or is it the site of el-Araj as suggested by the late Mendel Nun? Or could it be, as numerous scholars have suggested through the years, that there is a Bethsaida of Galilee (perhaps associated with el-Araj on the shore of the Sea of Galilee) and another Bethsaida Julias (Et Tell) about 1½ miles north of the sea shore? See the concise comment by Rasmussen in Zondervan Atlas of the Bible (Rev. ed), p. 278). Our first photo shows the northeast shore of the Sea of Galilee. The flat, green area is the Plain of Bethsaida. A view of the Plain of Bethsaida taken from the hills above Capernaum and east of Chorazin. Photo by Ferrell Jenkins. 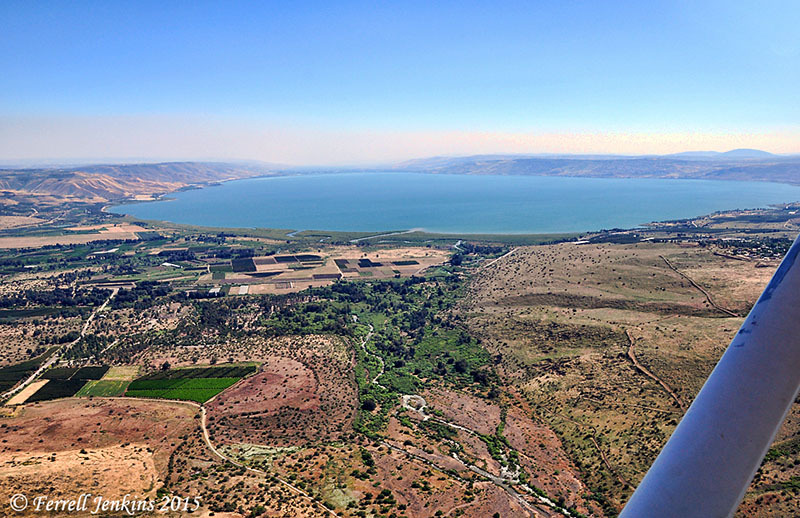 The aerial photo below shows most of the Sea of Galilee. The Jordan River runs from north to south near the center of the photo. The Plain of Bethsaida is seen to the left (east). Capernaum is situated on the shore of Galilee to the right (west). 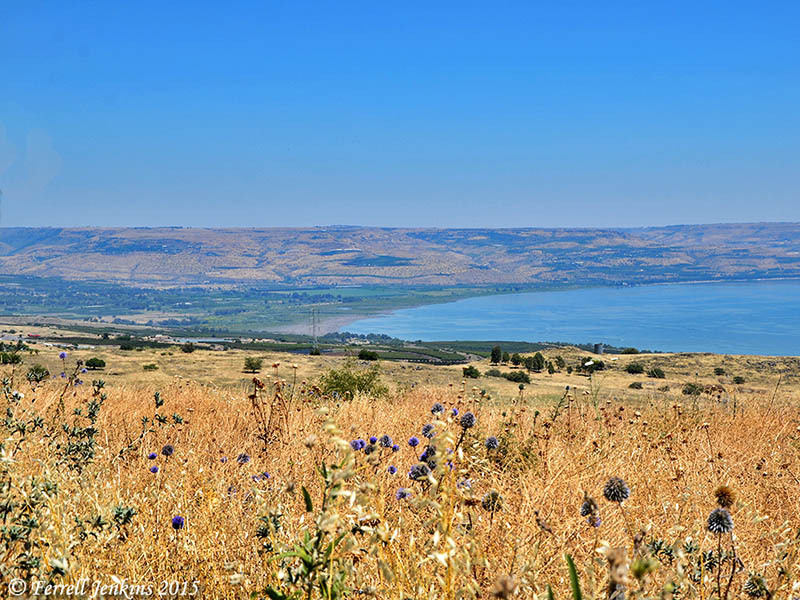 Our view of the Plain of Bethsaida may not be complete but it provides enough of the region to enlighten our understanding of the Biblical text. Bethsaida Plain, Jordan Valley, and the Sea of Galilee. Aerial photo by Ferrell Jenkins. I understand that the Jordan River was the boundary between the rule of Herod Antipas from Tiberias and that of Herod Philip from Bethsaida Julius. This entry was posted in Archaeology, Bible Places, Bible Study, Biblical Studies, Israel, New Testament, Photography, Travel and tagged Bethsaida. Bookmark the permalink.